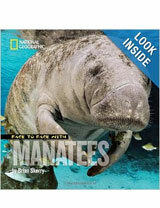 Brian work has also been featured in publications such as Sports Illustrated, The New York Times, BBC Wildlife, Paris Match, GEO, The Washington Post, The Wall Street Journal, Smithsonian, Esquire, Audubon and Men’s Journal. 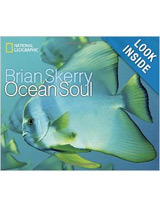 He is the author of 10 books including the acclaimed monograph Ocean Soul. 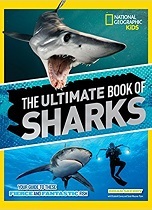 National Geographic Books released his latest book, entitled SHARK, in June 2017. Ocean Soul is a love story. It is a story of discovery. It is a story of hope. The story begins when a boy who loves the sea attends an event with underwater photographers and has an epiphany: "I had always wanted to explore the oceans, but I now understood how I would do this. I would do it with a camera." 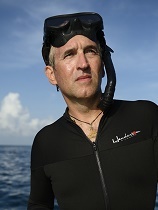 With sheer deter­mination, hard work, and a little bit of luck the boy, named Brian Skerry, realized his dream with more than 20 awe-inspiring articles for National Geographic magazine. Now, with Ocean Soul, he showcases his stunning photography and describes his adventurous life in a gripping portrait of the ocean as a place of beauty and mystery, a place in trouble, and ultimately, a place of hope that will rebound with the proper attention and care. Can you imagine what it would be like to swim with a whale? Gliding beneath the blue ocean waves. Bobbing gently as a huge, graceful animal pulls you along. It would be truly magical to explore the sea this way! For such a thing to happen, a whale would have to want to be with you. But whales are wild animals. They rarely come face to face with humans. Once in a while, however, the lives of humans and wild animals come together in an unpredictable way. And, when they do, it seems almost like a dream. These treasured moments may seem unreal, but they show us that maybe all animals -- including whales -- can dream, too. This is the true story of an orphaned beluga whale who decided to make her home in a secluded Nova Scotia bay. While she lived there, she made close contact with the town's people, leaving them with stories and memories they will never forget. A Whale on Her Own is the tale of a wonderful and fascinating animal who is sure to capture the hearts of children and adults alike. There is a wealth of information for both beginning and advanced wreck divers packed into this comprehensive volume. Some of the topics covered are types of ships and how they deteriorate; researching and finding shipwrecks; methods of actually searching for a wreck; specialized equipment and pre-dive preparation; what to look for and expect in a charter boat; diving the wreck with special emphasis on hazards and navigation; clues to use for identifying a wreck; artifact recovery, conservation and legal considerations; special techniques of photographing wrecks. Also includes a section on the contribution wreck diving makes to our understanding of maritime history.